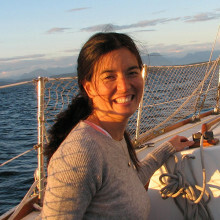 Naomi Tabata works to connect the talented faculty and students at North Island College with community businesses and organizations to create meaningful and mutually beneficial applied research projects. She thrives on engaging with grassroots initiatives making our communities better places to live, work and play. In her spare time she plays in our water, mountains and forests. CVC AMBASSADOR ROLL: Bevin helps in the proofing process of written content.